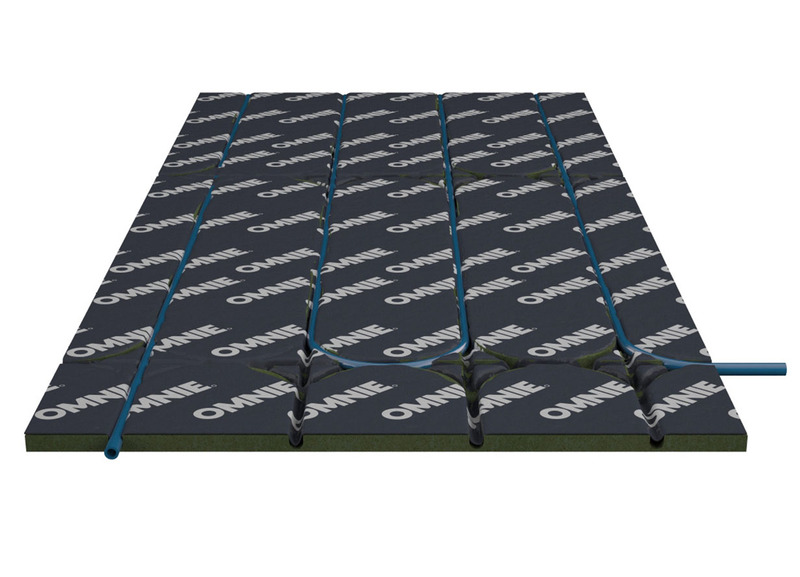 OMNIE FoilBoard Floating system can be laid over a flat and even, solid floor. 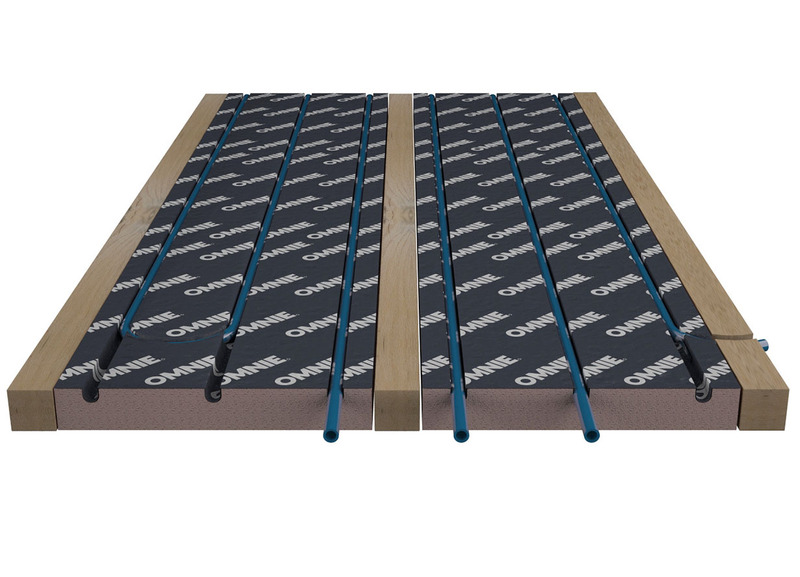 The universal panels provide the support for the fully floating floor deck that is laid over. 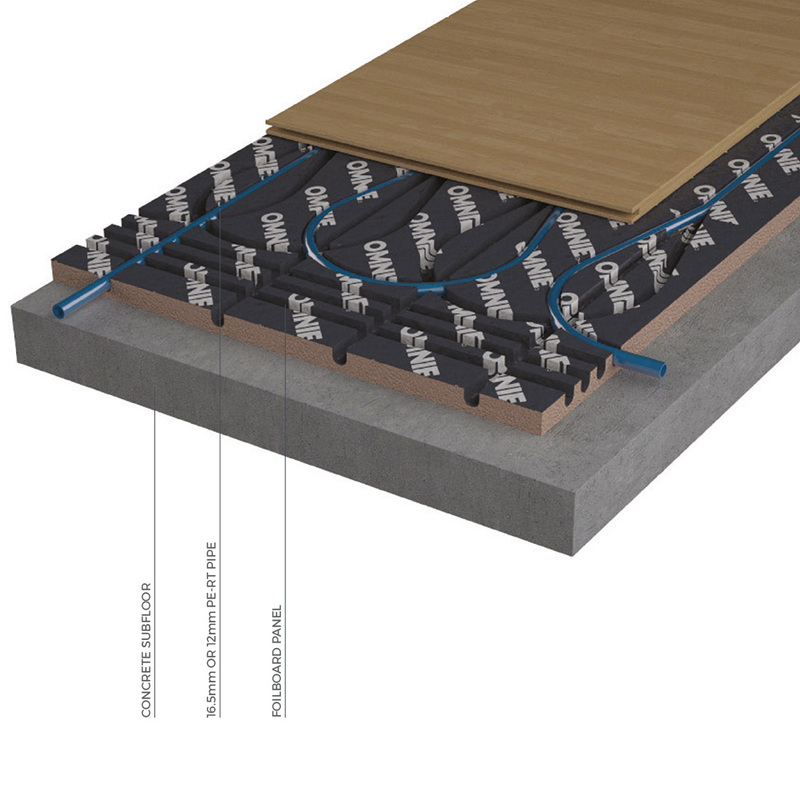 Each panel is manufactured from extruded polystyrene insulation (XPS) which has a high compressive strength, suitable for floating floor applications. The heat diffusers are pre-bonded and made from soft temper aluminium. As no thick rigid plates are used the panels are easily trimmed on site. Once the panels are in place, the pipe is pressed into the channels piercing the foil diffuser. To complete the floor a tongue and groove deck or floor finish is laid over. The product is available in standard thicknesses of 18, 25, 35, 50 and 75mm. These all use 16.5mm pipe except for the 18mm thick FoilBoard, this uses 12mm pipe. Looking to use FoilBoard in your next project?